After its merger announcement late last year, Kontagent-PlayHaven has relaunched as Upsight. The company’s platform offers app developers a variety of tools for tracking user behavior and analyzing that data to create plans of action and put them into motion. Upsight’s platform already supports 22,000 apps, with its new freemium option giving app developers access to analytics and marketing tools via a single dashboard. Since the merger in December 2013, daily platform signups have doubled. The platform now tracks over 500 billion events every month and reaches over 650 million monthly active users, an increase of 62.5 percent since the merger. The Upsight platform allows developers to learn the lifetime value of their users, and provides data on user acquisition, retention, engagement and monetization. Its marketing toolset allows developers to use both in-app and out-of-app marketing tools to increase downloads, as well as increase user engagement and grow revenue via the promotion of in-app virtual goods. The platform’s latest, free update offers unlimited access to “core acquisition, engagement and revenue metrics,” as well as basic tools for optimizing an app’s performance. In addition, the combination of the Data Mine and Push Notifications tools will allow developers to find their most valuable users and send them targeted push notifications. Upsight will continue to operate as the main distribution channel for the PlayHaven ad network. 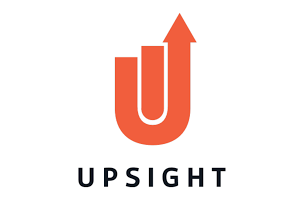 More information on the Upsight platform is available on the company’s website.